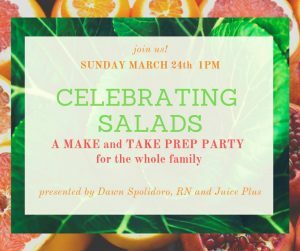 Celebrating Salads - Wood Palace Kitchens, Inc.
Let’s celebrate salad season! Everyone gets to make and take home a delicious spring salad, and learn about other ways to get your kids to eat those veggies. Parents, kids and picky eaters welcome!